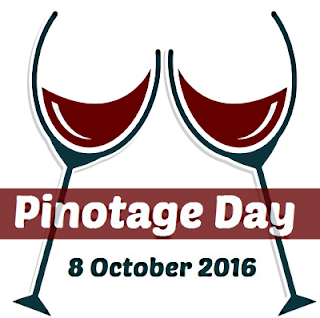 The second International Pinotage Day will be celebrated this year on Saturday 8 October. Simonsig Estate, in Stellenbosch, will be open from 10:00 for an all-day event with music, food and a selection of Pinotage wines and cocktails. An evening dinner event (bookings essential) will see Simonsig’s award-winning restaurant Cuvée collaborating with winemaker Debbie Thompson to take Pinotage to new culinary heights. Contact - wine@simonsig.co.za. The many of us far from a Pinotage winery can join in by opening a bottle of favourite Pinotage, red, white or pink, if its Pinotage lets Pour! !